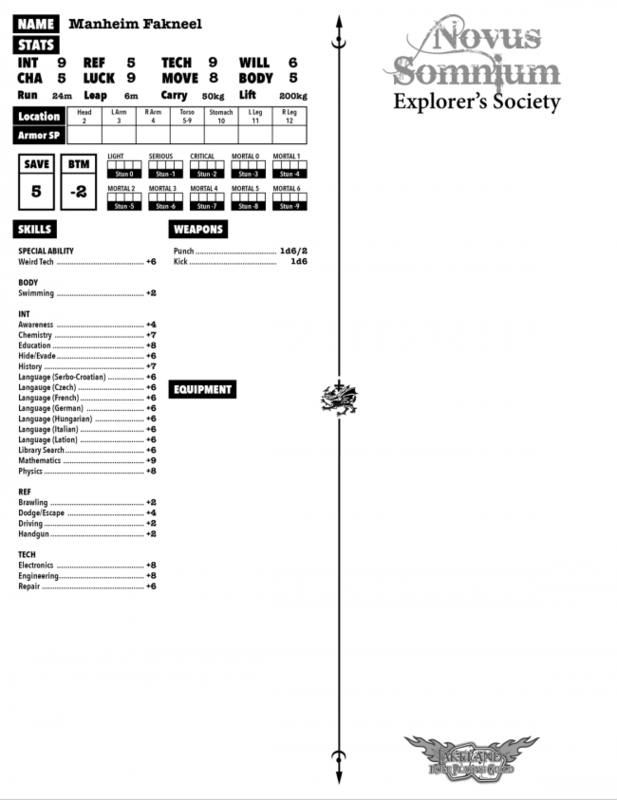 I got my character sheets finished today. I figured I had to make them at least somewhat cool to make up for only having hand written sheets for the first session. I think they turned out pretty cool. Here is the one for Manheim Fakneel (a Tesla-esque inventor). What do all think? Stats and character info are on the left. Players can write notes or whatever on the right. We might look into doing something similar for all of the In-House Campaigns if the various Guild GMs are interested. That would be cool. I'll help out with sheet creation as much I can!